If you’re constantly in pain and nothing you’ve tried has worked to relieve that pain, perhaps it’s time to make an appointment at Whitby Mall Physiotherapy & Chiropractic. We are a medical office that has helped a myriad of patients alleviate chronic pain over the last 15 years. 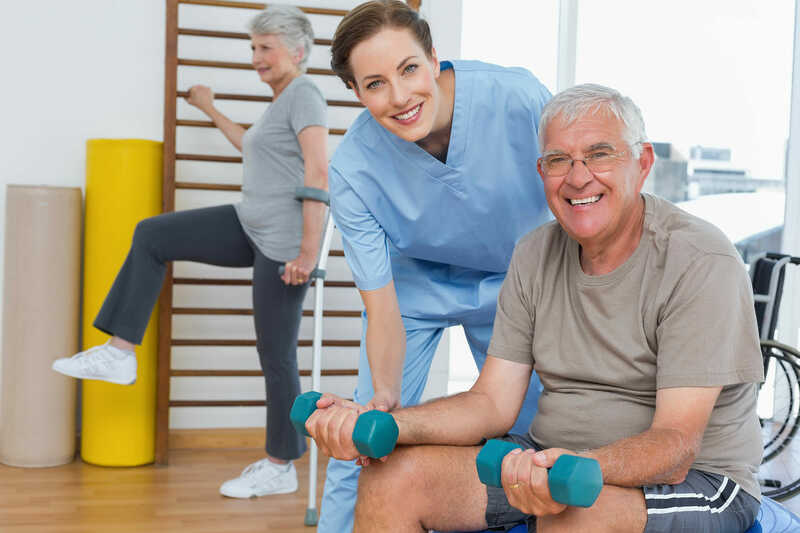 With our personalized physiotherapy programs and compassionate chiropractor, you’re almost certain to find the optimized solution to managing your pain. The Gonstead Technique is a procedure that was developed by a chiropractor, Clarence S. Gonstead, and his colleagues. With his 55 years of experience in the field of physiotherapy, he developed this biomechanical analysis to further the chiropractic world. Without the Gonstead Technique, many patients today would be left in unnecessary pain and even develop more pain because of oversight from their chiropractor. What Happens During the Gonstead Technique? Visualization: Our chiropractor will use his eyes to visually detect any changes in your posture or movement. If he detects any, those changes are possible roots of problems. Instrumentation: When a chiropractor uses instrumentation during the Gonstead Technique, he or she will use the nervoscope, which can detect uneven distributions of heat along your spine. If there are any detected, it can mean inflammation or nerve pressure in those areas. Static palpation: For static palpation, our chiropractor will use his hands to feel along your spine while you are in a stationary position. With his touch, he can detect swelling, tenderness, or tightness. Motion palpation: This step is similar to static palpation but it is done while your spine is moving and bending. This step lets our chiropractor see how the segments of your spine move in each direction it’s bent in. X-ray analysis: X-rays can help our chiropractor see things that his eyes or hands can’t detect. By getting a whole picture of your spine, he can get a better idea of what is going on in terms of your back problems and pain. What Are the Benefits of the Gonstead Technique? Chiropractors who practice the Gonstead Technique can benefit you so much better than those who don’t. The Gonstead Technique allows for chiropractors to get a more comprehensive look at your entire spinal cord and its underlying issues. Instead of getting a cookie cutter physiotherapy plan, you’ll get a custom tailored one based on what is found while using the Gonstead Technique. After the Gonstead Technique, the best way to take care of yourself is to follow our chiropractor’s exact directions. Keeping up with regular physiotherapy can do wonders for your back problems, so don’t neglect that once we’ve found out exactly what’s going on with your spinal cord. If you’re interested in a chiropractor that practices the Gonstead Technique in Whitby, come to Whitby Mall Physiotherapy & Chiropractic. Our chiropractor’s eager to help you out! One of Few Clinics in Durham to Offer Pelvic Floor Physiotherapy! At Whitby Mall Physiotherapy & Chiropractic Center, we serve the Durham region with trusted chiropractic care and physiotherapy services.